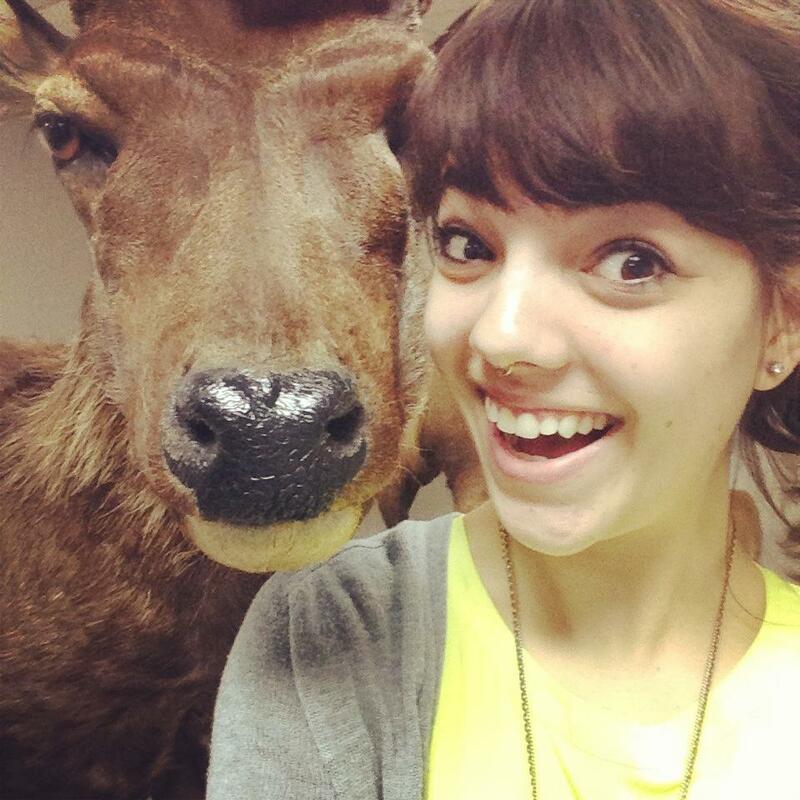 Unless you work in a museum, chances are that it’s a rare occasion when you meet a taxidermist. The first thing out of most people’s mouths when I tell them what I do is “How did you get started in taxidermy?” and when I explain to them that it started out as a hobby, they always want to know how I went from dabbling in the craft to working in universities and museums. My career really did begin with a dead squirrel and a bottle of wine. A friend and coworker (at H&M, of all places) of mine knew I had a strong stomach for “gross” things - mostly because I was the only one who could handle disgusting things in the fitting room when our janitor was off-duty. One evening she invited me over to help her with a project for a mammalogy class, which turned out to be an assignment to create a study skin utilizing the skin of a roadkill squirrel collected by her professor. (A study skin is the preserved skin of an animal, usually filled with cotton, which is pinned and dried flat as part of museum or other archival collections for future generations of scientists to learn from.) When I got to her house, we split a bottle of red wine and literally dug in. I found the process to be absolutely fascinating. Haley… well, not so much. She has always been supportive of my pursuing of taxidermy, though. It was one of those things I just couldn’t stop thinking about. If you’ve never tried your hand at taxidermy I know this is going to sound very strange, but it’s just a satisfying process. I liken it to peeling a sunburn or peeling a tattoo (which are huge no-nos), except that you’re actually supposed to peel everything off the skin of a squirrel before you sew it up. 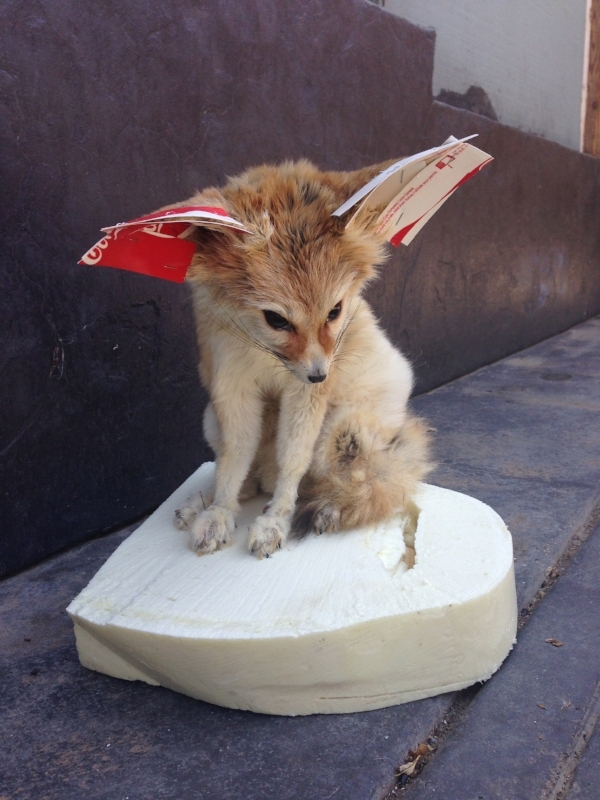 If you’re one of those people who really enjoys that sort of tactile sensation, taxidermy may be the hobby for you! 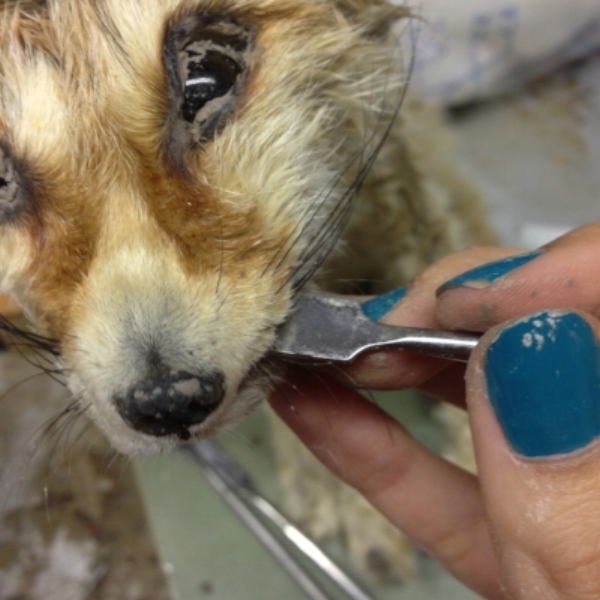 For all of those readers who are grossed out, well… you’re reading the blog of a taxidermist so I don’t know what you expected. 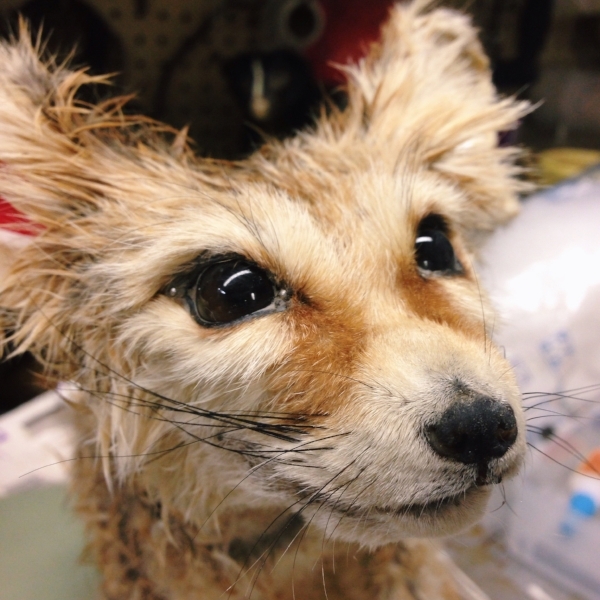 Aside from the process of cleaning skins, I started thinking a lot about how I could turn a skin into something other than a study skin - by adding an armature, higher quality filling, and glass eyes to make the animal look alive again. One squirrel and I was hooked. For my birthday I went to a reptile expo and quickly tracked down someone who sold frozen feeders, and purchased the largest rat that they had available. When I tell the story of the beginnings of my career, I often say that I started everything with a $5 investment. That gigantic rat was the $5 investment - everything else I had on hand at home… except the glass eyes, which I forgot I needed, due to the fact that the initial study skin didn’t have or need glass eyes. I made do with what I had and posed the eyeless rat with his lids closed, curled in a ball and sleeping. He has certainly held up over the years, smells faintly of cornmeal, and is on display in my living room at this exact moment. I documented the process and shared it on my Instagram - that’s where my career shortly started to take off. With a combination of taxidermy as well as jewelry that I had made using animal bones, I vended my wares at a few street fairs with friends. 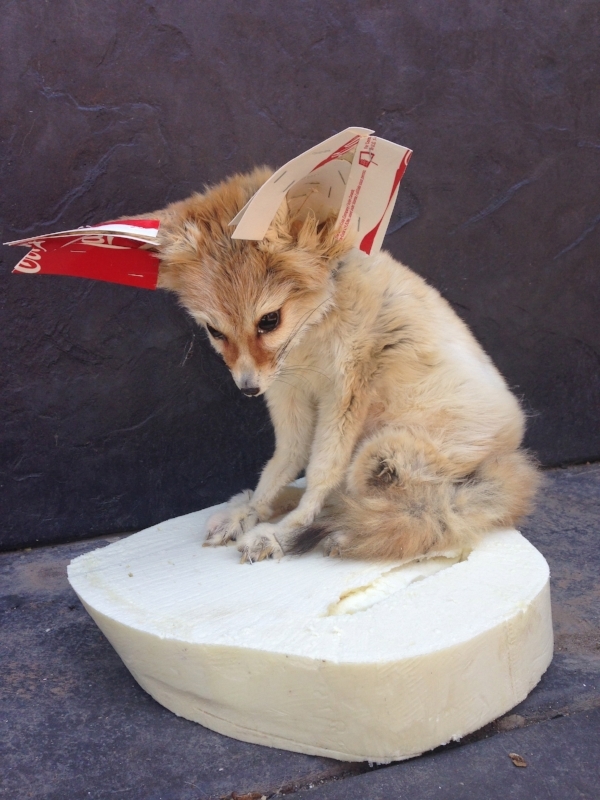 People took interest both in person and via social media, and after a few months a young girl approached me to ask if I would teach her how to do taxidermy. I said yes, and she became my first student. Around Christmas, I had a pop-up shop at a friend’s print shop and a woman showed up from the Detroit News looking for me, citing that she had seen some of my taxidermy work on Instagram and was interested in doing a profile on me. I ended up on the front page of the Life & Style section - and from there, things just snowballed in the best way possible. January brought invitations to Cleveland and Chicago. February took me to Cleveland again, and then in March I returned to Ohio as well as flying to Atlanta for private lessons with a shop owner. In April I finished my last semester of college and moved to Cleveland, and in May I took my gigs west to Minneapolis and then Seattle, where I had a write-up in the Stranger. 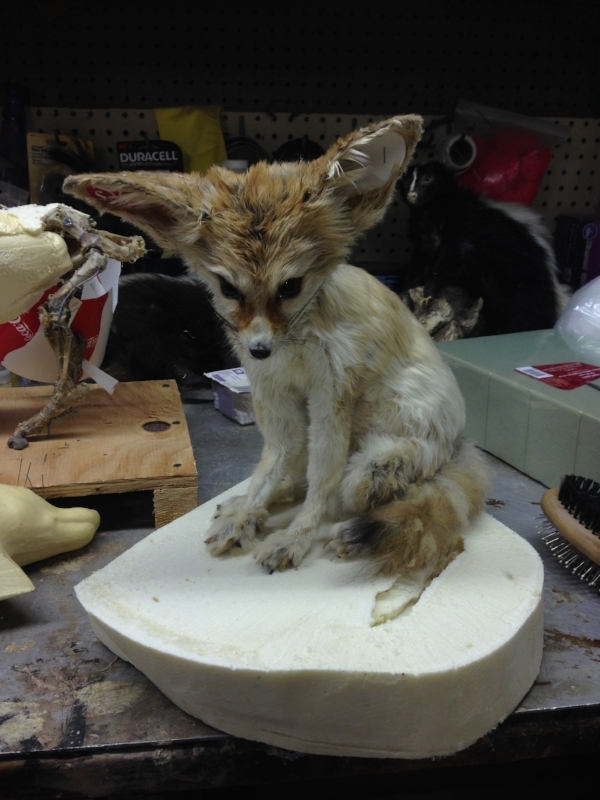 During all of this I took in so much information from other taxidermists - written works as well as videos. I hadn’t found anything that was very worthwhile, at least not as worthwhile as continual practice and eventual evolution towards refining my techniques - but no guide I found was as helpful as finding a mentor (or three) to take me under their wings. In some senses the taxidermy industry is much like the tattoo industry. There are some self-taught tattooers who end up being alright and producing quality work, but the majority of top-notch workers are the ones who spent years refining their techniques and seeking out critiques from their peers and superiors in order to become the best they can be. The rest of the self-taught tattooers work out of their basements and are complete hack jobs. On the opposite side of the coin, it’s entirely possible that someone can spend a year or two as a tattoo apprentice and still produce bad quality work because their heart just isn’t in it, or they simply don’t have the right touch. The fact remains that someone is more likely to end up being successful if they seek out help and mentorship rather than trying to work on their own, because getting feedback is crucial to continual positive growth. With the practice I’ve had and the guidance I’ve gotten from all three of the men I work closely with, I feel confident to continue experimenting and I feel that I’ve really found my groove. I’ve since taught at the Houston Museum of Natural Science, the Museum of Contemporary Art in Cleveland, Portland State University, and the University of Washington. I have a (sold out!) lecture coming up at Harvard, which I’m very excited about - I am absolutely achieving my dreams and I can’t wait to see what happens next. Aside from traveling to teach, I also run a shop in Chicago called The Niche Lab where I teach classes and sell my work - at twenty-five, I think this is a huge accomplishment. I’m not writing all of this to toot my own horn - I’m listing these things as examples of where hard work and dedication can take you if you play your cards right and the stars align and all that jazz. It IS possible. Getting here wasn’t easy, and I definitely made a lot of mistakes along the way, both career-wise and in the way I related to other people, but I am proud of what the last four years have done for me. Turning a hobby into a career takes a lot of hard work, sleepless nights, and dedication. You learn a lot about yourself. Whether you’re looking to be a taxidermist or a goldsmith, if you think you’re passionate about, here are some pieces of advice that I think will work for everyone. Have some social media presence. Instagram has been monumental for me, and consistency is key for building a brand. If you want to have a social media account for just your new hobby-turned-business, start early. My personal Instagram has a lot of followers so I use it to promote my business Instagram page every few weeks. Eventually I would like to separate the two completely, so I suggest having separate accounts from the beginning if possible. Try using a “real” camera rather than your phone camera and/or use an image editor like VSCO before you post - properly exposed and focused images will help you the most. Even though it’s called Instagram doesn’t mean you have to post everything in the exact moment that it happens. Stay humble. Man - I wish I had done this for the duration of everything. Because my Instagram account was popular I treated my followers like fans and on occasion I was extremely rude. For lack of a better term, I was quite honestly a total see-you-next-Tuesday at times. I can’t say how much I wish I could change this. I also had friends I spent time with who behaved in a similar manner towards their followers and I think we rubbed off on each other - and not in a good way. After taking some time to myself and really analyzing not only how I could improve my business but also the way I was perceived by my followers (who are all potential customers) I totally took a step back and am making an active effort to always respond to people who ask questions, and try to be kind when possible even if people are being offensive. ALL of your followers are potential customers (and human beings deserving of kindness) - treat them as such. Find people whose work you admire and ask them for advice, or simply befriend them. I’m friends with my favorite photographer, my favorite painter, my favorite taxidermist, and members of all three of my favorite bands. How? Because people who are passionate about their craft feed off other people who are passionate about their craft, even if their passions are not in the same field. All I did was approach them and basically say “Hey, I dig what you’re doing!” in a non fan-girl way. If you want to start doing metalsmithing, find the best mom-and-pop jeweler in your city and ask if you can apprentice with them. If you’re really into screenprinting, hit a craft show and befriend the people there selling their work. Eventually you’ll make a connection worth keeping, and these people will be both inspiring and uplifting during the time it takes you to grow from a hobbyist into a professional in your field. Practice, practice, practice. No matter what your hobby, do it a lot and do it often. Watch and learn how other people do the same things as you, and decide whether you should borrow their techniques or if you already do it better. You’ll get tons of hours honing your skill set and you’ll be producing product that you can sell in order to buy more supplies so you can practice even more. Believe in yourself. You’re doing something that you’re passionate about and that will shine through. Not everyone is going to be on your side, but as hard as that is you will eventually learn to ignore them and only pay attention to those who champion you and support you. Take deep breaths. The road to turning your hobby into a career is a long one and there are going to be a lot of bumps. Entrepreneurship is difficult but it’s worthwhile - as long as you make sure you are properly caring for yourself. Being at the end of your rope on a constant basis is something people will notice, and it won’t affect your business in a good way. Your attitude and your work ethic will reflect how much sleep you’re getting and how much time you take for yourself. At the same time, though, don’t get lazy! This isn’t the end-all, be-all of turning a passion into a career. Of course there is way more to it than I could ever fit in a single blog post, and I hope that this can turn into somewhat of a series. If you have more questions, feel free to send them my way. In the meantime, if you’ve been reading this and you don’t have a hobby you feel passionate enough about to turn into a career - well, maybe it’s time you start dabbling in something new. Either way - good luck!